Online roulette is a popular and exciting casino game played with a spinning wheel. Gambling games based on a spinning wheel can be traced as far back as the Greco-Roman period and although the game we know today as roulette has evolved significantly since then, the same basic gambling concepts apply. A roulette game consists of a roulette wheel with numbered slots, a little white ball that is released into the spinning wheel and a roulette table that depicts the different bets that can be placed. The aim of the game is to correctly guess the number or group of numbers that the ball will land on when the spinning wheel comes to rest. There are many advantages to playing roulette online. Playing online roulette gives you access to many of the different variations of the game and allows you to play them from anywhere in the world. Another advantage to playing roulette online is the ability to play at any time of the day or night, from the comfort of your own home. As an Australian player you will enjoy the advantage of the 24/7 gaming and support that is available at Casino.com Australia. Playing online roulette also gives you access to live roulette games which allow you to combine the comfort and convenience of online play with the thrill of live dealer games, through the use of webcam technology that shows the croupier in action in real time. Roulette has a long history, dating back at least to the 17th century. The name “roulette” in French means “spinning wheel” and we know that as far back as the Greco-Roman period, spinning games were played for gambling. In those times, Greek soldiers spun their shields on a metal point and Roman soldiers spun their chariot wheels in gambling games. A more modern game, which it is believed roulette originated from was called Hoca and was played in 17th century Italy. It featured a circular table with forty cups positioned around the edge. A ball was released in the centre of the table and left to move around the perimeter until it came to rest in one of the cups. A similar game played around the same time in England was known as E-O (Even-Odd). The game also involved a circular table which was marked with E and O around the perimeter. Players bet on a letter and a ball was released in the centre of the table until it came to rest on one of the letters. The variation that we know as French roulette was already played in the late 18th century and the unique characteristics of the variation have not changed from what we play as French roulette today. It is not clear exactly when European roulette was introduced; however American roulette was created at the end of the 18th century when French immigrants brought roulette to the US during the French Revolution. A number of changes were made to the game, including the addition of a 00 and an eagle to the slots on the table in order to increase the house edge in the game. The eagle was later removed, but the 00 remains to this day. In 1994, the first online casino was launched and roulette moved online. Since that time, new variations have been released and the game has grown in popularity as it has become more accessible to more people around the world. Online roulette is a game of chance; however understanding the various odds related to the game can help you make an informed decision about how best to play. A game of European roulette has 37 numbered slots – the numbers 1 through 36 plus a single zero. This results in odds of winning of 1/37 and an overall house edge of 2.7%. American roulette, on the other hand has 38 numbered slots – the numbers 1 through 36, plus a single zero and a double zero. This results in odds of winning of 1/38 and an overall house edge of 5.26%. These odds can be affected simply by the choices you make in the game. If you place the five-numbered bet in American roulette, the odds go up to 7.89%. On the other hand, if you play la partage or the en prison rule in European roulette, the odds can go down as low as 1.35%. To begin a game of online roulette, players must place their bets. There are ten bets in a standard game of European roulette and these can be divided into inside bets and outside bets. European and French Roulette offer the same odds of winning, but French roulette benefits from the extra ‘la Partage’ rule. Mini roulette offers less betting options and so there are less numbers to bet on, so this offers the highest odds of winning compared to other online roulette games. However, you need to also take into account the quicker game and reduced options – does this suit you and your playing style? Straight bets – A bet on a single number. The bet is placed directly on the number on the table. Split bets – A bet on two numbers that are adjacent on the roulette table. The bet is placed on the line between the numbers. Street bets – Also known as a row bet, it is a bet on a row of three numbers. The bet is placed at the end of the row. Double street bets – Also known as a six line bet, it is a bet on the six numbers of two adjacent rows. The bet is placed on the line between the rows. Corner bets – A bet on the four numbers in the corner of the roulette table. The bet is placed in the centre of the numbers. Outside bets are the bets that are placed on the outer section of the roulette table. Column bets – A bet on the twelve numbers that make a column on the roulette table. The bet is placed at the end of the column. Dozen bets – A bet on a group of a dozen numbers – 1-12; 13-24 or 25-36. The bet is placed on area marked “1st 12”, “2nd 12” or “3rd 12”. Red or black bets – A bet on the number being red or black. The bet is placed on the area marked with a red diamond or a black diamond. Odd or even bets – A bet that the number will be odd or even. The bet is placed on the area marked “odd” or “even”. High or low bets – These are bets on the number being high (19-36) or low (1-18). The bet is placed on the marked “1-18” or “19-36”. Set a bankroll and stick to it – as with any gambling game, it is important to set a specific bankroll for playing roulette and to make sure that you stick to it. Set limits – set limits for how much you can lose before you stop playing. It is also a good idea to set limits of how much you hope to win and to stop when you reach your goal. 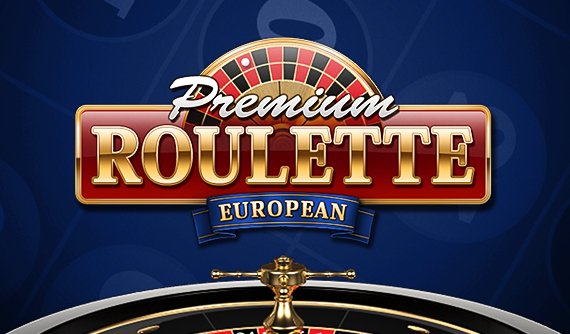 Play European roulette – the house edge in European roulette is 2.7%, compared to 5.26%. Just by choosing your game wisely, you can increase your chances of winning. Understand the rules of the game – There are many variations to the game of online roulette and while the basic rules and aim of the game is similar in them all, there are also slight variations. Play in the fun mode - It is worthwhile to practice the game you choose to play in the fun mode of the casino for free before you play for real money. This gives you the chance to learn the rules of the game and familiarize yourself with game play without risking any of your bankroll. You can switch to the real money mode of the casino and play for real money at any time. Which is the best online casino roulette casino/website for outsiders to win real money? Rebet – Place the same bets as in your previous game. Spin – Begin the wheel spinning. Column bet – A bet on a column of 12 numbers. There are three columns on the roulette table. Corner bet – A bet on the four numbers in the corner of the roulette table. Double Zero – Or 00 – a numbered slot present only in American roulette. Five number bet – A bet on the numbers 0, 00, 1, 2, 3 – only available in American roulette. High bet – a bet on the group of high numbers including 19-36. Inside bet – The bets that are placed on the inner section of the roulette table. Low bet – A bet on the group of low numbers including 1-18. Neighbour bet – A bet on the racetrack section of the table on a single number plus the two numbers on either side of it. Orphans – A French roulette bet on a five numbers. Outside bet – The bets that are placed on the outer section of the roulette table. Red bet – A bet on the outcome being a red number. Split bet – A bet on two numbers that are adjacent on the roulette table. Straight bet – A bet on a single number. Street Bet – A bet on three numbers in a row on the roulette table. Tiers du cylinder – A French roulette bet on the 12 numbers opposite the 0 on the wheel. Voisins de Zero – A French roulette bet on the 0, plus the seven numbers to its right and the nine numbers to its left. To begin playing for real money you will need to open an account and fund it. Click on Play for Real Money. Register an account by clicking on Create Account. Complete the online form including the required personal information, your username and password, your contact details and your currency choice. Go to the cashier section and make a deposit using one of the deposit methods available. Visit the lobby and choose your game to begin playing. Starting to play online roulette for real money is simple and Australian players will be able to enjoy the ability to play in Australian dollars and make deposits with one of the many payment methods available for use in Australia. The boost to your bankroll can be significant from the welcome bonus with a 100% match deposit bonus up to $400 (plus 200 free spins) available on your first deposit.